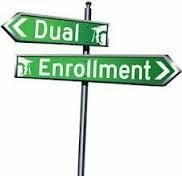 Please make plans to attend the Dual Enrollment meeting on July 26 @ 5:30 in the Lunchroom. The meeting is for Juniors and Seniors that have signed up to take dual enrollment classes for the 18-19 school year. Accuplacer will also be discussed along with other information.